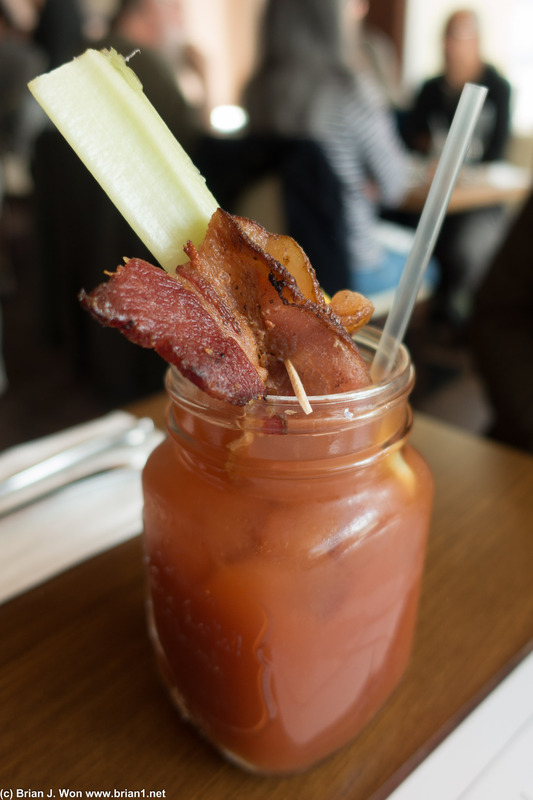 Bacon bloody mary. Disappointing-- more ordinary than expected. 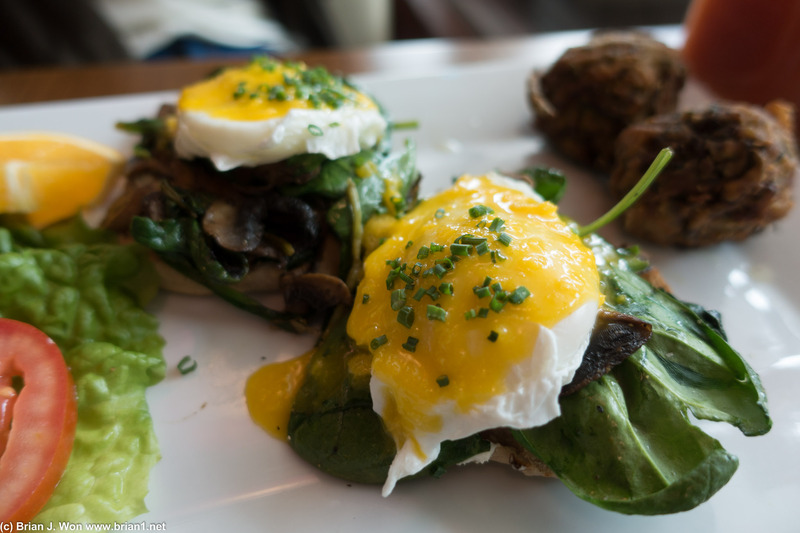 Florentine benedict. Good but the aftertaste of sour cream was a tad stronger than expected? 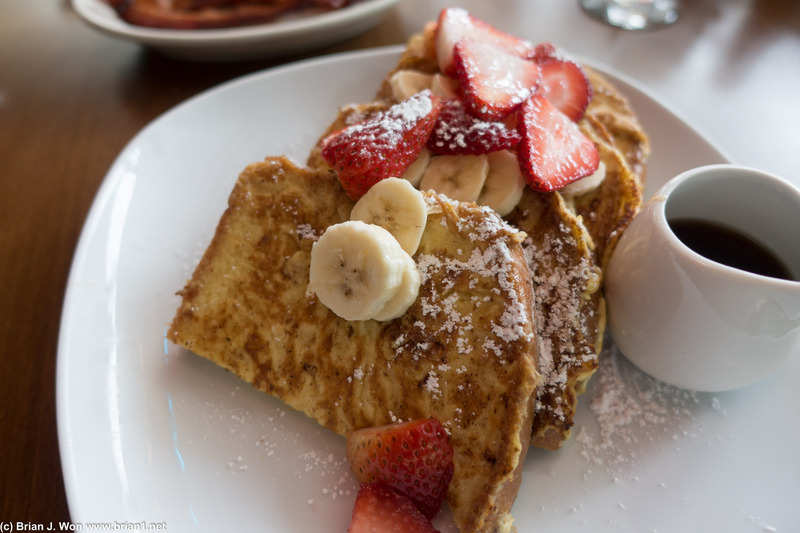 Strawberry french toast. Very pretty, taste was pretty undistinguished. 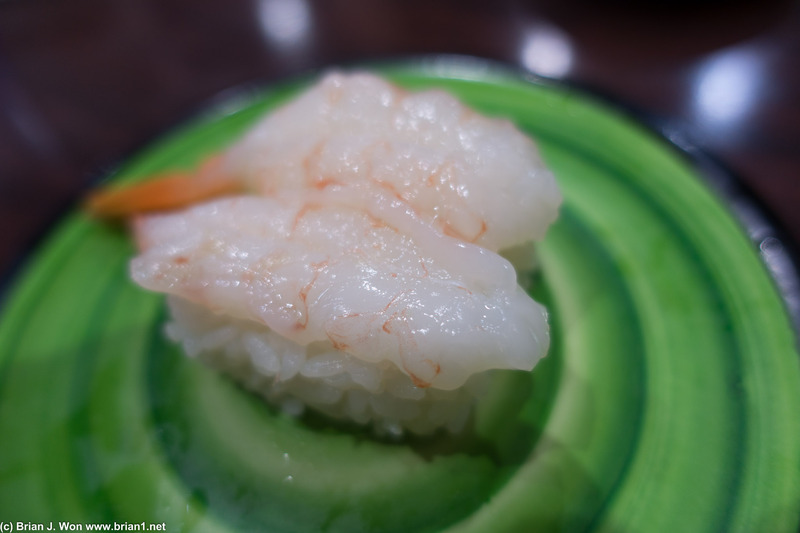 Ama ebi (sweet shrimp) must be getting really cheap if Kula has 2 pieces per plate now. Toro. Not the best but surprisingly decent considering the price. 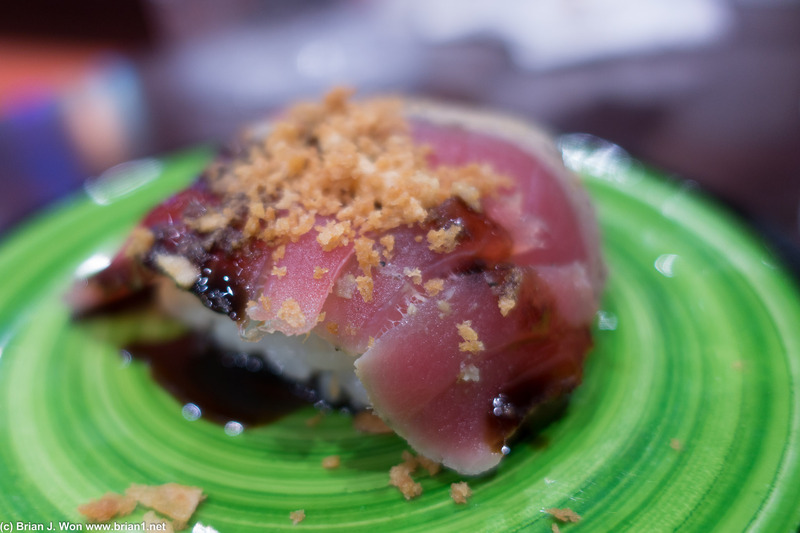 Garlic seared tuna. Nice way to mix it up. 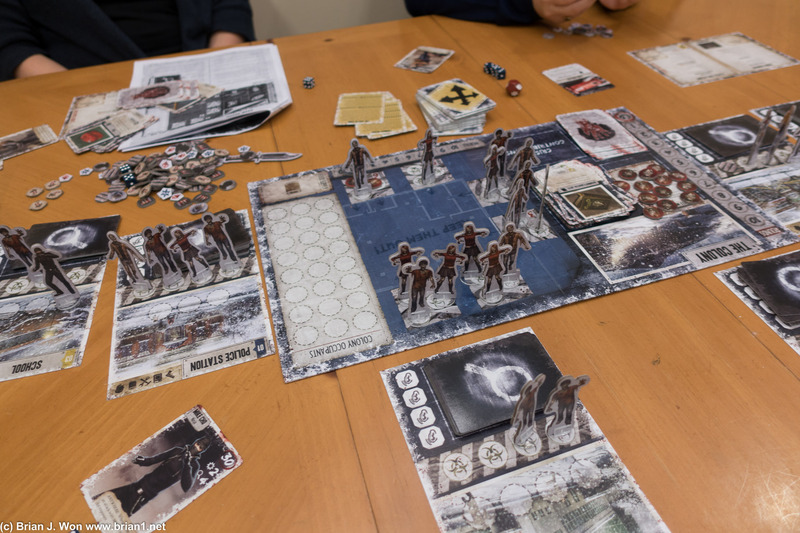 Dead of Winter-- co-op zombie survivor game. What it looks like when your colony is overrun. 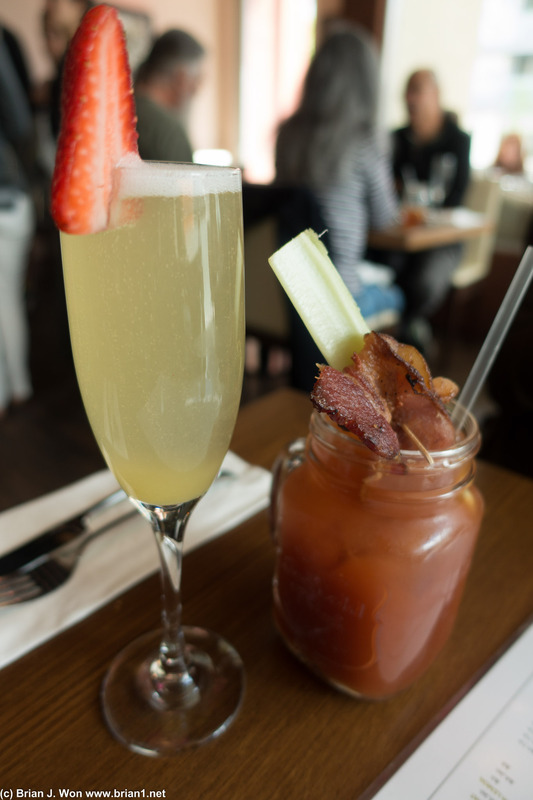 Brunch at Blue Daisy was a promising but ultimately average bacon bloody mary and mimosa, plus a florentine bendict that perhaps got a tad too fancy for its own good with the sour cream and the zucchini "hash browns." 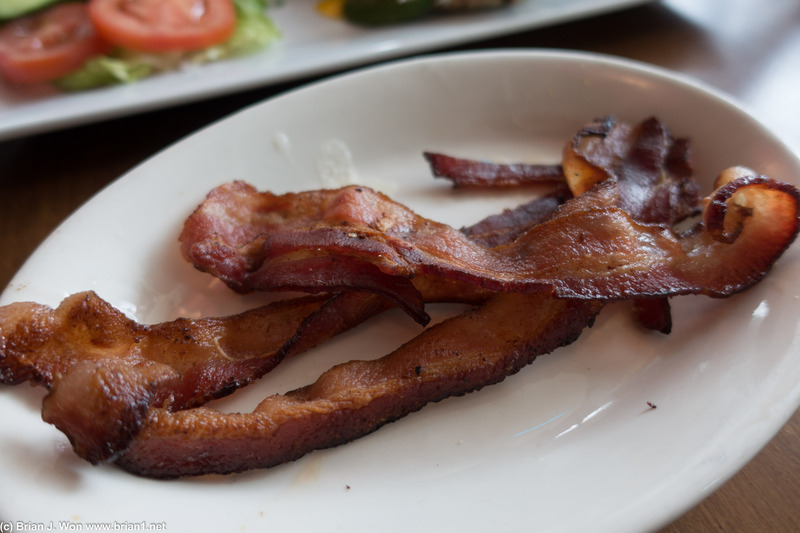 Strawberry french toast was beautiful but the french toast itself was too plain... fortunately the bacon was excellent. Don't think Tiff and I will make a return visit anytime soon. 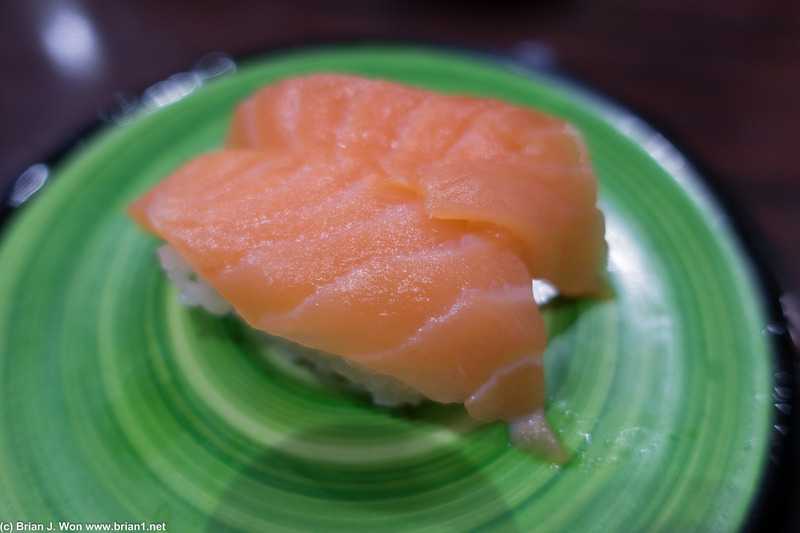 Dinner at Kula Sushi that night, more out of indecision than anything else. Prices on sweet shrimp must be going down, because Kula is now able to provide two of 'em on one plate. At $2.25 a plate you don't get great ones, but it's still a damned good deal. 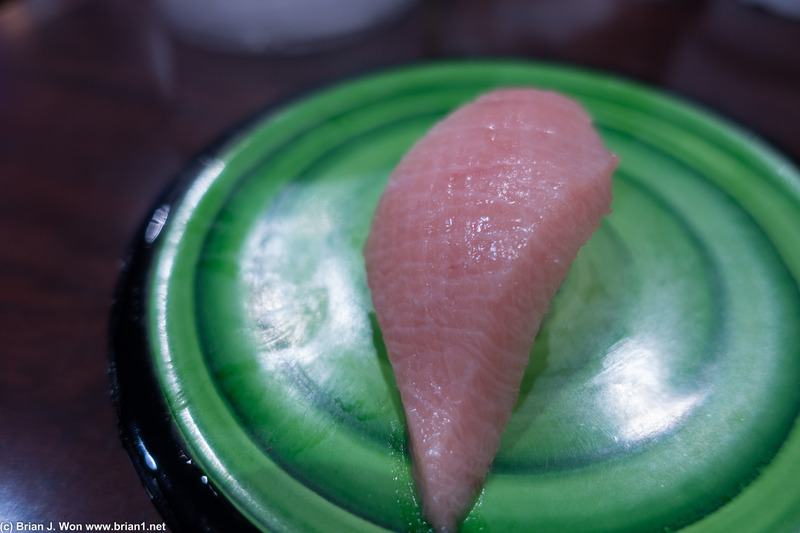 Rest of the meal is usual conveyor belt sushi, with a surprisingy decent toro and a nice garlic seared ahi. Played Dead of Winter, Ophelia's latest acquisition, afterwards. 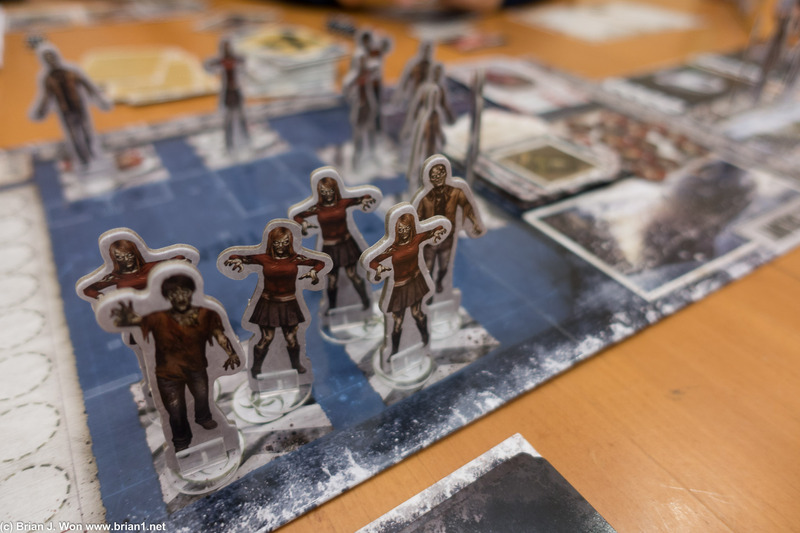 A cooperative game against a horde of attacking zombies, it was quite good-- and difficult. We didn't have the rules fully figured out; had we been playing correctly I suspect we would've lost horribly. Definitely worth a few more replays!